This project is quick and easy and leaves you with something you can use everyday. It's easy enough that you can quickly customize your coasters for holidays, seasons, dinner parties, birthday parties, game-watching parties, or whatever you want. 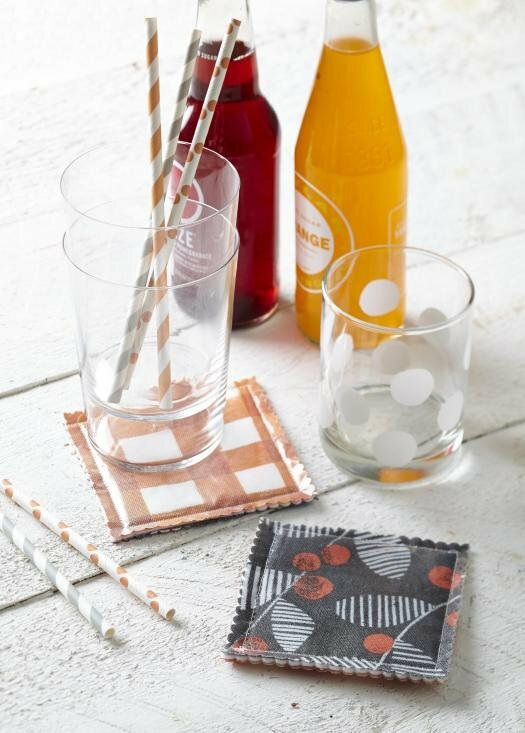 "An iron-on laminate helps make coasters easy-to-sew and very durable!"